Fred Sauceman, a native of Greeneville, Tennessee, is Senior Writer, Executive Assistant to the President for University Relations, and Associate Professor of Appalachian Studies at East Tennessee State University, where he teaches a course entitled “The Foodways of Appalachia” and edits Now & Then: The Appalachian Magazine. He writes a monthly food column, “Potluck,” for the Johnson City Press and authors the “Flavors” page for Blue Ridge Country magazine. His stories about food and Southern culture are heard on “Inside Appalachia,” a radio program produced by West Virginia Public Broadcasting. “Food with Fred” appears monthly on WJHL-TV, the CBS affiliate in Johnson City, Tennessee. Fred is the author of a three-volume book series, The Place Setting: Timeless Tastes of the Mountain South, from Bright Hope to Frog Level, about the foodways of Appalachia. His work has appeared in The New Encyclopedia of Southern Culture, The Encyclopedia of Appalachia, Bluegrass Unlimited, The Encyclopedia of Alabama, and CrossRoads: A Southern Culture Annual. He is also a contributor to the journal Southern Cultures, published by the Center for the Study of the American South at the University of North Carolina at Chapel Hill. 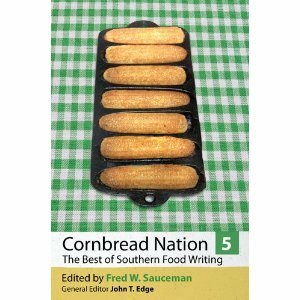 A member of the Southern Foodways Alliance, Fred is the editor of that organization’s Cornbread Nation 5: The Best of Southern Food Writing, published by the University of Georgia Press in 2010, in partnership with the University of Mississippi. He is creator of the book Home and Away: A University Brings Food to the Table, published by ETSU in 2000. 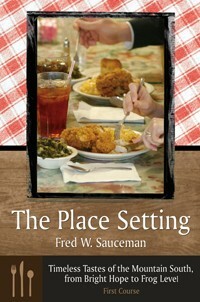 In collaboration with several other food scholars across the South, Fred is one of the authors of The Southern Foodways Alliance Community Cookbook, which will be published on October 1, 2010, by the University of Georgia Press. Fred’s first documentary film, A Red Hot Dog Digest, traces the history of that product on Southwest Virginia’s Lee Highway. It was named one of “the best short films on southern foodways” by Southern Cultures. His latest documentary, Beans All the Way: A Story of Pintos and Persistence, relates the history of The Bean Barn, a soup bean restaurant that originated in 1946 in Greeneville, Tennessee. Still: Where you were raised and how has that place influenced your writing? Sauceman: I was raised in Greeneville, Tennessee (the only one with the extra “e” although there are several Greene Counties in America). My father’s family was rural, very connected to the land—sharecroppers in fact—on the south side of the county in a German settlement. The place names are Bright Hope and Orebank, and the family has been attending Whittenburg Church since the late 1700s. My father grew up in a family of 12 children. Two of my aunts on that side are still living. My mother had rural ties, too, through the Koontz and McAmis families, but her parents always lived in the city. Their last name was Royall. My grandfather on my mother’s side was Night Chief of Police in Greeneville. He and his dog protected the town at night. My grandmother drove a car and worked outside the home, at the telephone company as a switchboard operator, at a time when most women in Greene County did neither. I never ate a meal in my Sauceman grandparents’ house. My Grandmother Royall fed me bread-stretched, heavily peppered hamburgers, stuffed peppers with sausage, sweet milk with ice crystals in it, and popcorn popped with peanuts. Greeneville influenced not only my writing but also my attitudes and my thinking in a very profound way. Early on, I heard stories of Andrew Johnson and Davy Crockett. Their rise in American politics was always held up to us schoolchildren as an example of how anyone, from any background, could do anything. We heard about Johnson sitting cross-legged on his tailor’s bench making clothing while his wife Eliza taught him to read. And Crockett very much embodied the concept of the self-made person, from his birth in a small cabin on the riverbank (not a mountaintop) to his election to the United States Congress and his martyrdom at The Alamo. These were our heroes in Greeneville. Their stories taught us to respect humble origins but not be limited by them. The other defining fact of my early life is much more personal. I knew both my parents and all four of my grandparents. But by the time I was 16 years old, they were all gone except for my mother. I spent a lot of time in funeral homes when I was a child, and I think those experiences with death marked me very deeply. Probably a lot earlier than most children, I learned about the transitory nature of life, and I think that has created an urgency that drives me still today—to do as much as I can while I can. I think it’s why I’m so passionate about documenting the stories of people I know in Appalachia. Still: When did you know for sure that “food” was your calling? Did you have particular mentors, either culinary or literary? Sauceman: I remember my very first paper from Honors English Composition at the University of Tennessee in the fall of 1974. I had graduated at the top of my high school class in Greeneville at a very good school. Greeneville schools have always been especially strong. We had Spanish class at East View Elementary School in Greeneville in the 1960s. Despite my high school record, I wasn’t sure college was for me. I had already worked in radio for a couple of years, and the station tried to convince me to bypass UT and go to work for them full-time, which I did consider. I went on to UT, though, full of self-doubt. Neither of my parents had attended college. In fact, few of my relatives had. For that composition class, I was lucky enough to have one of the grand old men of UT, Dr. F. DeWolfe Miller. The best teachers I’ve studied under, almost without exception, are the ones who had done other things in their lives besides teach. Dr. Miller had worked for the FBI. That first fall in college, I would sit in his office for hours, as a freshman, listening to his FBI stories. He convinced me that I was indeed “college material.” In the upper right-hand corner of that first essay I submitted for his class, he wrote, “Sauce, Man. A+.” I’ll never forget that. Then, when my mother’s troubled widowhood forced me to take my old radio job back and transfer to East Tennessee State University as a sophomore, I came under the remarkable influence of Dr. Jack Higgs, beginning with his “Literature of the Southern Appalachians” course when I was an undergraduate, and then on to six courses in graduate school, from Emily Dickinson to Faulkner to “The Legacy of Transcendentalism,” one of the very best college courses I ever took. Dr. Higgs was, and is, my mentor. He directed my thesis on Thomas Wolfe. We’ve kept in close touch over the years, and when I was hired by ETSU in 1985, we bought a house in his neighborhood. I’ve never forgotten his telephone number. With Dr. Miller’s endorsement on that freshman paper, I started thinking about a career involving words and changed my major from political science to English, later picking up a double major in history and almost a triple major in German. I wanted to write about mountain culture, but it took a trip to Oxford, Mississippi, to show me how. It was 1998, and I was already working on a cookbook for ETSU at the time, one based on the stories behind the food. In a publication called The Southern Register, published by the Center for the Study of Southern Culture at the University of Mississippi, I noticed an invitation to the First Annual Southern Foodways Symposium. We went, and we haven’t missed a symposium since. And we go on most of the field trips the organization sponsors in the summertime. I credit SFA for making my food-writing possible. It helped me build the knowledge base and meet the right people in the field. Had it not been for SFA, I’m not sure the Place Setting books would have come about, and I know I never would have had the honor of editing Cornbread Nation. Still: Who are some food writers that you’ve admired and why? Sauceman: John Egerton’s 1987 book Southern Food: On the Road, At Home, In History set the standard for food writing in the South. Although it’s over 20 years old, I use it as one of the textbooks in my course, “The Foodways of Appalachia.” I never imagined, when I first bought that book 23 years ago, that I would come to know John, but he is one of my closest friends in the world of food writing, and he has encouraged me every step of the way. John T. Edge, the Director of the Southern Foodways Alliance, has been a great inspiration to me as well. Still: Tell us about the progress and evolution of your three-volume set The Place Setting: Timeless Tastes of the Mountain South, from Bright Hope to Frog Level. Sauceman: Sometimes I just luck into things, and I’ve yet to ever write a query letter about a book project. In 2004, the SFA asked me if I would staff its booth at the Southern Historical Association meeting in Memphis. During that conference, as we were sitting at the booth, a friend of mine from Athens, Georgia, said, “Let’s get up and walk around.” We stopped at the Mercer University Press booth, and somehow the subject of ramps came up. Then the director of Mercer University Press, Dr. Marc Jolley, said, “How would you like to do a food book for us?” I told him I’d absolutely be interested, and then gave him a link to some of my newspaper pieces. “After you read those, if you’re still interested, we can talk more.” We did, and that conversation resulted in three books. In 2007, on the streets of Charleston, South Carolina, John Shelton Reed and Marcie Ferris, from the University of North Carolina at Chapel Hill, offered me, on behalf of the SFA, the editorship of Cornbread Nation 5. Marcie was President of the SFA at the time, and John had edited the fourth volume in the book series. I readily accepted, for it had been a goal of mine to edit a volume ever since the book series first came out. Of course knowledge and ability are paramount, but pure luck, being in the right place at the right time and getting connected to the right people, are so vitally important. Still: How is writing about food different than writing about other subjects? Sauceman: Writing about food and teaching about food are much deeper than many people realize. When you deal with food the way I do, you’re incorporating religion, history, philosophy, anthropology, sociology, and science. I don’t know of a subject any deeper, really, but so many people sell it short. When I first proposed the foodways course, some folks in academic administration thought I meant a cooking class. Writing about food history is often quite difficult, because in many cases, the practice of making a particular dish preceded by many years the documentation of the recipe. Try proving how fried chicken got started. Or chocolate gravy. Still: Since you write regularly for print media, how do you renew your creative thinking and approaches to writing regularly about food? How do you make food literary? Sauceman: As much as I’ve studied Southern and Appalachian foodways, I keep learning new things. A couple of years ago I was doing a book festival in Bowling Green, Kentucky, when a lady mentioned banana croquettes. I immediately thought of something fried, like Puerto Rican tostones. But I learned that banana croquettes are simply uncooked pieces of banana rolled in mayonnaise and chopped peanuts. There are variations on that theme, but that’s the basic concept. And it turns out that Kentuckians of a certain era and age love them. I use food as an entry point in telling stories about people, which means my material is unlimited. Deadlines don’t really bother me, and I think that’s largely due to my experience working in a newsroom—in television news. The deadline pressure there is relentless, and you have to produce good work in a chaotic environment. I rarely close the door and isolate myself when I’m working on a piece. Still: What do you perceive to be a particular challenge for the food writer? Sauceman: In my case now, it’s finding time to get out into the field. I did about 500 interviews for the Place Setting books. You can’t do this kind of writing and be confined to an office. You have to get out and talk to folks. I hate phone interviews. In fact, I hate phones. It’s sometimes pretty difficult to run a public relations operation at a 15,000-student university and keep a food writing career going. At the same time, though, studying food provides good balance when administrative duties get especially heavy. On a more basic level, the challenge for a beginning food writer, with so many folks doing it right now, is to find a niche that’s relatively untouched and then, as with all writing, to find that special voice and point of view. In the case of SFA, many of its members have Deep South connections. I, however, cover Appalachia, much of which is ignored by the Food Network. Still: Since you’re widely published and known as a regional foods specialist, do you think readers and editors have particular expectations of you as a writer? Sauceman: Two words I don’t want anyone to apply to me are “gourmet” and “critic.” I am neither. It has taken awhile to get audiences to understand that, and believe me I’ve worked at it. Just the other day I gave my 150th public presentation on Southern and Appalachian foodways. I think readers who have followed me awhile expect me to provide the historical and cultural context behind a dish or a method of cooking, and they expect me to tell the stories of the people behind the food—oftentimes people who have worked in relative anonymity. Still: How is writing about Appalachian or Southern foodways unique or challenging? For instance, do you ever run into stereotyping or opposition by food critics; do you have to contend with criticism about unhealthy food choices; have you had to counter-act blatant ignorance like “all mountain people eat possum and squirrel”? Sauceman: My work on red hot dogs, for example, sometimes irks health-food people. But they misunderstand why I’m interested in red hot dogs. It has nothing to do whatsoever with nutrition or lack thereof. Red hot dogs fit into a study of social class in Appalachia. The unit cost of a red Valleydale hot dog is less than the unit cost of the bun you put it in. Those red hot dogs helped a lot of families through hard times, and they still do. When I show the documentary film we did on red hot dog devotion in the Lee Highway area of Virginia, someone always speaks up and takes issue with the fat and caloric content of the product. I’m more interested in knowing what it’s like to make your living selling that humble product, at a place like the Dip Dog outside Marion, Virginia, which has been around for over 50 years and survived the coming of the Interstate highway. I think the farm-to-table movement and the proliferation of farmers markets has helped tremendously in educating people about what has been eaten in Appalachia for centuries and why. One of my strongest interests is immigrant cooking in America—in learning how immigrants assimilated and adapted cooking practices from their homeland after they relocated here. I’ve tried to show, in my writing, that Appalachia is not all Scots-Irish and German. The Italians in West Virginia, the Hungarians in Southwest Virginia, the Albanians in East Tennessee, and the Waldensians in North Carolina fascinate me. Still: You mentioned the foodways classes you teach at East Tennessee State University. What are some exercises or assignments you give your students in documenting foodways in a particular place? Sauceman: The very first assignment in the class is to track down an “heirloom recipe” and explain its origins and connections. Students quickly learn that to succeed in the class, you have to get out and talk to people. One of the major assignments is an oral history project, again requiring students to make human connections. One troubling thing I’ve noticed in teaching this course is that some students are terrified of doing interviews. The idea of sitting down, face-to-face, and having a conversation with someone is intimidating to them. I teach them to put aside prepared lists of questions, sit down eye-to-eye with an informant, listen to what that person says, and have a conversation. Still: You recently edited the Southern Foodways Alliance’s regular anthology Cornbread Nation 5. Can you offer a very brief history of that anthology series? What were some of the guidelines you used to select pieces for that anthology? In general, what has the Southern Foodways Alliance offered you in terms of professional writing opportunities? In evaluating writing, I love incongruity. There’s a piece in Cornbread Nation 5 called “A Jewish Yankee’s Quest for the Last Great Country Hams of Western Kentucky.” There’s a scene in the book where a Chinese-American is cooking collard greens in a wok in the Mississippi Delta. One of the photographs in the book depicts a Greek-owned restaurant in Greenwood, Mississippi, that sells Southern pies topped with mile-high meringue. The South is full of that kind of incongruity—funny and rich. The Southern Foodways Alliance is the best organization I’ve ever been involved with. I’m not much of a joiner, but SFA changed my life. It gave my writing direction, when I was in my 40s. I love being around people who don’t think it’s weird when you whip out a camera and take a picture of your plate in a restaurant. People who think nothing of eating six or seven meals a day. I remember once on an SFA field trip in Texas, we stopped at five different barbecue joints in one afternoon. Still: You also edit the long-running regional magazine Now & Then: The Appalachian Magazine, published by the Center for Appalachian Studies and Services at ETSU. What is your history with that magazine and what’s it like to live a “day in the life” as editor of that magazine? Sauceman: Before I took over the magazine in 2006, I didn’t have much involvement with it at all, and Now & Then, before 2006, had a low profile on the campus. That’s one of the first things we changed. After I had the magazine for about a year, the President of the university liked the product so well that he provided funding for one issue a year, which took a lot of the financial pressure off. The second thing we wanted to change was the look of the magazine. I wanted someone as managing editor who had a graphic arts background and an appreciation for good writing, and I approached Randy Sanders, who was then my wife’s boss. After we hired him at ETSU, my wife left the organization where they had worked in Jonesborough, so I essentially put her out of a job to secure the talents of Randy Sanders, who has done a superb job in helping me turn the magazine around. Rarely do I work on the magazine for an entire day. I do make it a policy, however, to react to submissions very quickly. Oftentimes I’ll accept or reject a piece on the day I receive it. I think writers appreciate that. Now & Then is never very far from my mind. When you edit a magazine, you never stop looking for story ideas and themes. Still: As a person who “fools with words” every day, what are your writing habits like? Sauceman: This is my news background coming into play again, but I don’t do a whole lot of revision. I’m better at editing and revising my own work than I used to be, but generally, once it’s committed to the screen, it’s in close to final form. I don’t have the luxury of time to do a lot of rewriting. As is true with probably every writer, I find that getting away from a piece even for 15 or 20 minutes and then coming back to it is helpful. Once I’m done with it, though, I rarely second-guess or revisit it. I really enjoy moving from one medium or outlet to another in my writing: newspapers, magazines, books, radio, television, documentary films, public presentations. I feel very comfortable in media-related work, having started out in radio at age 15. I love what I do, and I am so fortunate that my education and my work experience lined up in just the right way so that I can employ my talents and skills in so many forms. Not a morning passes without my thinking how lucky I am to be able to do things I love every day.